Allow our email marketing Sheffield services to transform your future campaigns. For years, businesses have lured in customers new and old with attractive email marketing campaigns and fancy perks. You’ll have seen them yourself; an email pops into your inbox with an intriguing subject line that instantly catches your attention. When opening the email, you’re met with great images and copy that really sell a particular product, service or event. For the most part, this is what encourages website clicks and sales. Our email marketing Sheffield services could be exactly what you need. If you want to increase the amount of traffic your website receives, considering an email marketing campaign is a great option. Not only can you reach your customers in another light, but you can do it in a way that is memorable and engaging. Our team of experts know what makes the best email marketing strategy, and are able to create this consistently with your brand and its values. Why’s it important to have an email marketing strategy? If you’re looking for fresh ways to build your customer base, it’s definitely worth setting up email marketing. Why is it important? Well, emails are used worldwide to pass along information. They’re a way of communicating with potential leads and encouraging more sales than ever before. Email marketing a powerful marketing tool. If this isn’t reason enough to find out more information, then we don’t know what is! Our email marketing Sheffield services provide a cost-effective way of marketing. It can cost next to nothing to send an email out to your subscriber database, whereas posting out the same information to hundreds of addresses would be, of course, considerably more expensive. With the vast amount of customisable options on each email marketing platform, it’s easier than ever before to brand each email with logos, copy and consistent designs. 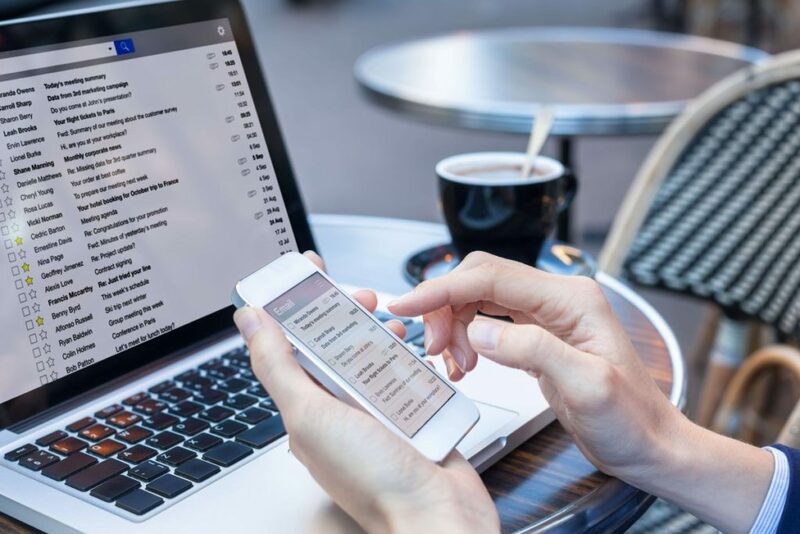 Not only are the emails themselves great for spreading your brand’s message, but using email marketing services enables you to track and monitor your efforts. Using a reputable email marketing platform gives you the ability to create different groups of contacts, see who has opened your emails, when they bounced and if people have chosen to unsubscribe. Seeing data such as this will give you an idea of where to improve in your email marketing campaign and will help you to recognise the types of emails that work best with your audience. What can you expect from our email marketing Sheffield strategies? Email marketing works. That’s if you do it the right way, of course. As with any marketing strategy, you won’t see great results overnight. It takes time and dedication to build up your customer database, not to mention thinking up fresh new ideas for content and how to sell your latest products. We have a team of talented in-house content writers who can create exceptional marketing emails for your business. Have a new product in stock or a value for money deal across a selection of your services? We can draw in your customers with effective, engaging copy and an easy to view layout. Writing your emails perfectly is essential for customer trust. An email filled with errors and links that aren’t clickable don’t give the best impression! People don’t click on every email in their inbox. Imagine the amount of emails they’ll get every day from sites they’ve signed up to, begging for sales! Overly promotional company emails, no matter how much you want to sell a product, simply do not work. 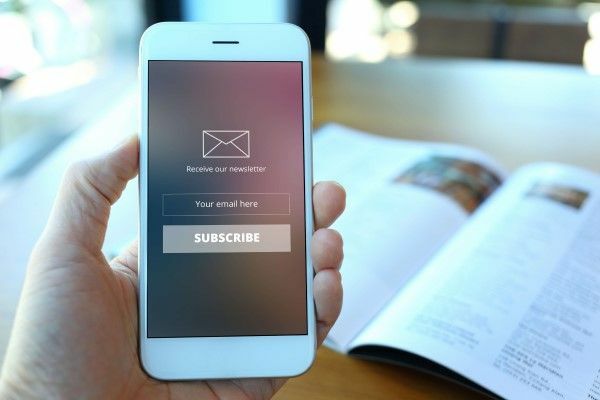 Our email marketing Sheffield experts know how to create an engaging subject line, something that will spark an interest in your customer and one that they’ll be more likely to click on when opening their emails. Making your email stand out above the rest is key. Through using a trusted email marketing platform such as MailChimp, we can closely monitor the performance of your emails as well as manage your email address database. When working with our team, we’ll regularly monitor our efforts and share with you a monthly report of our findings. Depending on these findings, we can then meet to discuss an updated plan of action or make some tweaks to your current strategy, ensuring we continue to build a successful email marketing plan for your business. An email with dull and boring content will get deleted as quickly as it’s opened. We’ll never let a customer leave your email without feeling intrigued or without clicking a link to find out more! How an email looks to a potential customer should be one of the most important factors to consider. No one will read an email without colour and attractive imagery; we make sure we get it spot on each and every time. Email marketing Sheffield services tailored to you. Whether you’ve tried email marketing in the past and it’s not worked for you, or you’re completely new to the game, we’ll give you one hundred and one reasons why we can make it work! If you’re looking for an effective campaign that will work, our team are the people to talk to. We’ll guide you each step of the way, explaining the hows, whats and whys of email marketing in detail. We always strive to bring our clients positive results and we are proud of our previous achievements! If you’re ready to make an enquiry or you just need a few questions answering about the whole process of email marketing, give our friendly team a call or send us an email to enquiries@bigfootdigital.co.uk. We’re also a full service agency; whether you need PR marketing, SEO or social media services, we’re the people to speak to!